Wound around her crochet hook was not yarn, but a translucent strip of plastic carefully snipped from plastic bags that would otherwise end up in the landfill. 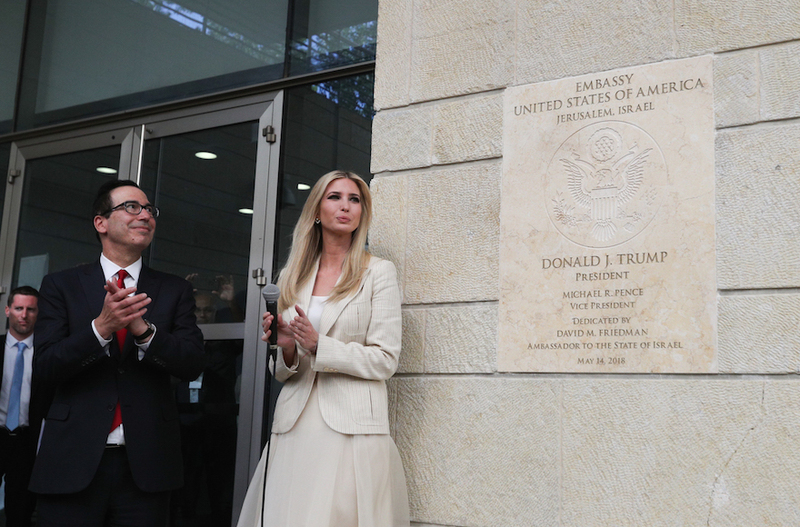 “It’s win-win,” said Ellen Iead, a volunteer with the project and a niece of a Tower One resident. Volunteer Ellen Iead and Morrison hold up one of the plastic mats. Chasnoff and the rest of the crochet team were engaged in a weekly activity that, in addition to contributing to a greener New Haven, reflects a larger quest to keep plastic out of our water and landfill, including a current proposal to ban plastic grocery bags. 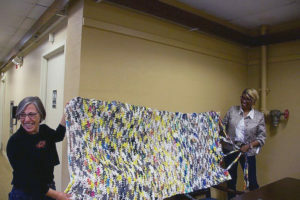 The Towers group receives funding for scissors and crochet hooks from the Jewish Foundation’s Women of Vision Society. The actual bags come from friends of volunteers and residents, local youth who have participated in collection efforts, and once, from a mysterious package an anonymous donor sent to the facility. “I got a present in the mail – no return address, no nothing. 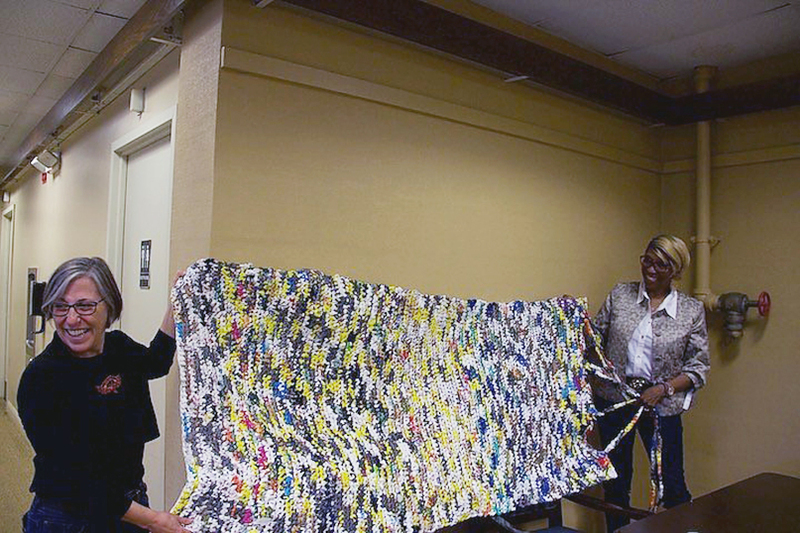 But it was gift-wrapped,” said Susan Skalka, life enrichment coordinator at Tower One, who came up with the project idea in the spring of 2017 after reading an online article about making mats from plastic bags. Skalka leads the project alongside Chasnoff and Tower One resident Bettye Morrison, who used to be a seamstress. They have crocheted the plarn into about 20 plastic mats, each three feet wide and six feet long. It takes about 700 plastic bags to crochet a full mat. Even without the group, Chasnoff and Morrison continue “plarning” whenever they have downtime. “It’s very relaxing,” Chasnoff said. “I use my TV time, from nine to 11, four nights a week,” Morrison said. Skalka has been organizing mat distribution with the New Haven Police Department, which will place the mats in each of the ten districts’ substations. Officers plan to pass them out to homeless people, who can use the mats for padding or insulation. “It’s a great way to get bags out of the landfill,” Chasnoff said. This article is reprinted with permission of New Haven Independent( www.newhavenindependent.org). 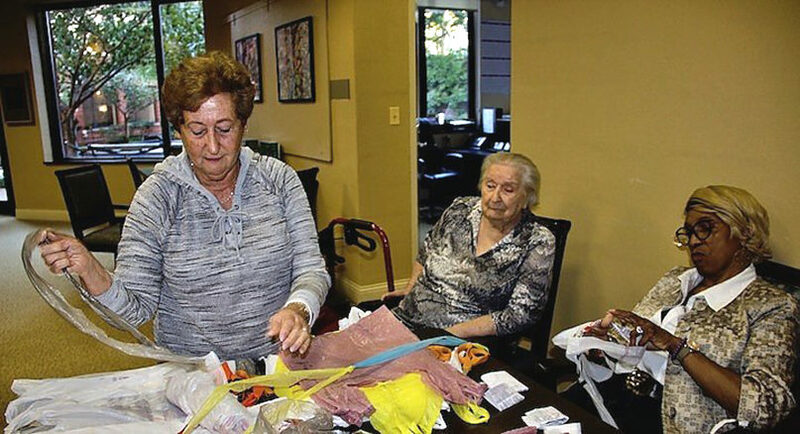 CAP: Volunteer Hyla Chasnoff and Tower One resident Bettye Morrison examine some plarn while Tower One resident Noreen Jones watches.